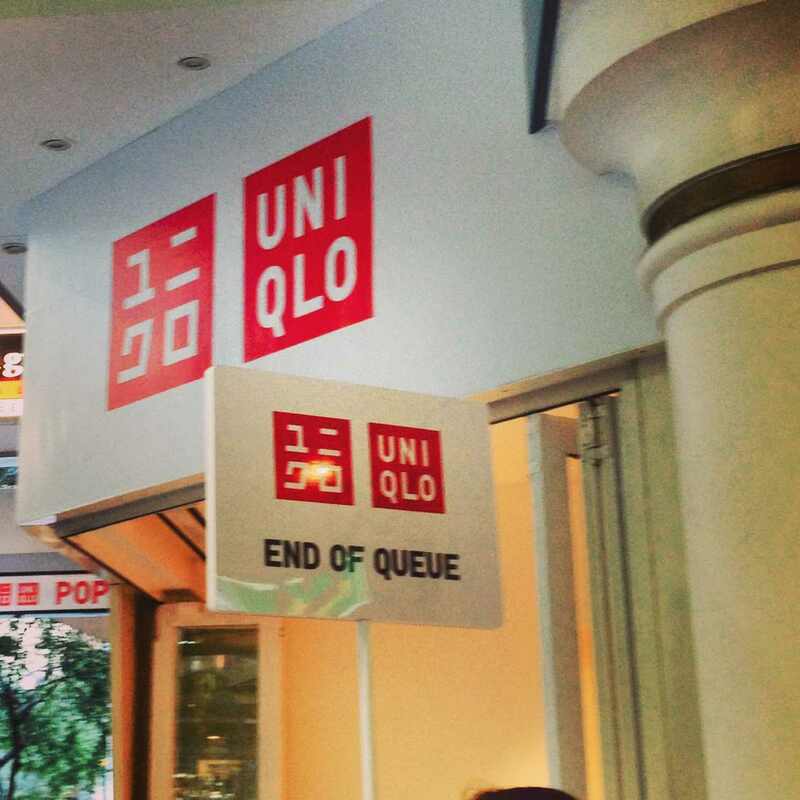 Sydney Shop Girl: The Uniqlo Queue. Notebooks. Sunglass Dupes. Sydney, I love you just because. The way your past meets present meets future skyline looks when bathed in the glow of the sun on a pre-winter's evening. The fact that I can get broccoli at 8am on a Sunday as I trudge around the supermarket in my ugg boots with a coffee in one hand. So Sydney. Joining a queue for the end of another queue. But most of all? Because no other Australian city does the queue quite like you. Melbourne might have got H&M and now Uniqlo before us but Sydney, you'll always be number one when it comes to corralling fashion groupies. 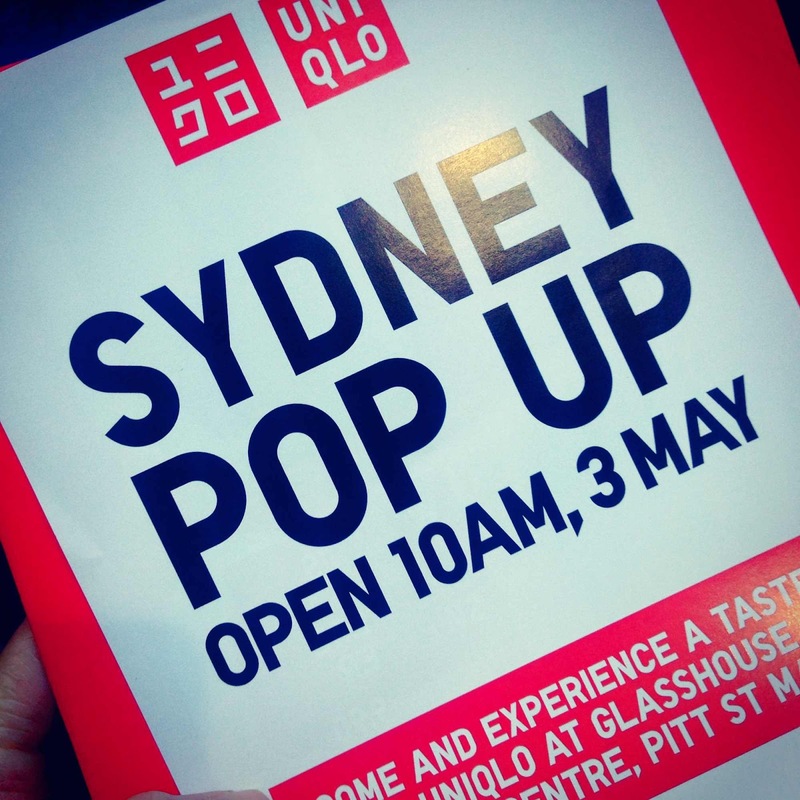 Sydney's Uniqlo pop up store opened at the Glasshouse on the Pitt Street Mall this weekend and your intrepid queue joiner couldn't resist lining up to be at the end of other lane that snaked around the Uniqlo store front. It ended up taking me around half an hour to get in. Some would call this a waste of time given that everything in store is available online and the much hyped Ines de la Fressange was nowhere to be seen in either but you guys, I got to Instagram the highlights of my visit. 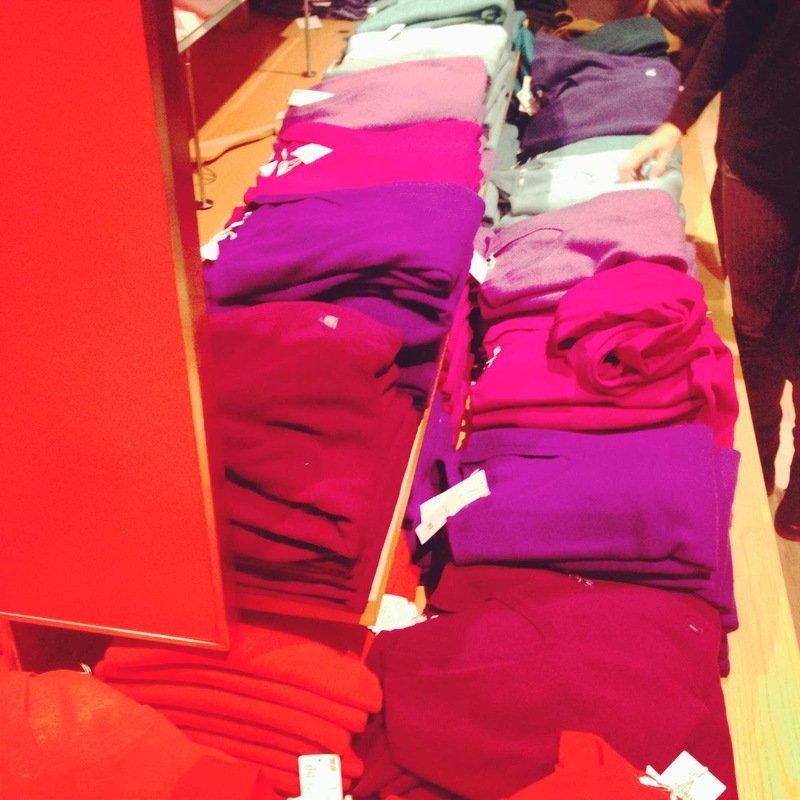 The stand out buy in Sydney would be the cashmere ladies sweaters. They come in a rainbow of colours and it took all my willpower and that little trip on the horizon to walk well away from the dozens of delectable colours. I've made a deal with myself. If I come home from Orlando without any sweaters, these lovelies from Uniqlo will be mine. Readers, consider yourselves witnesses. 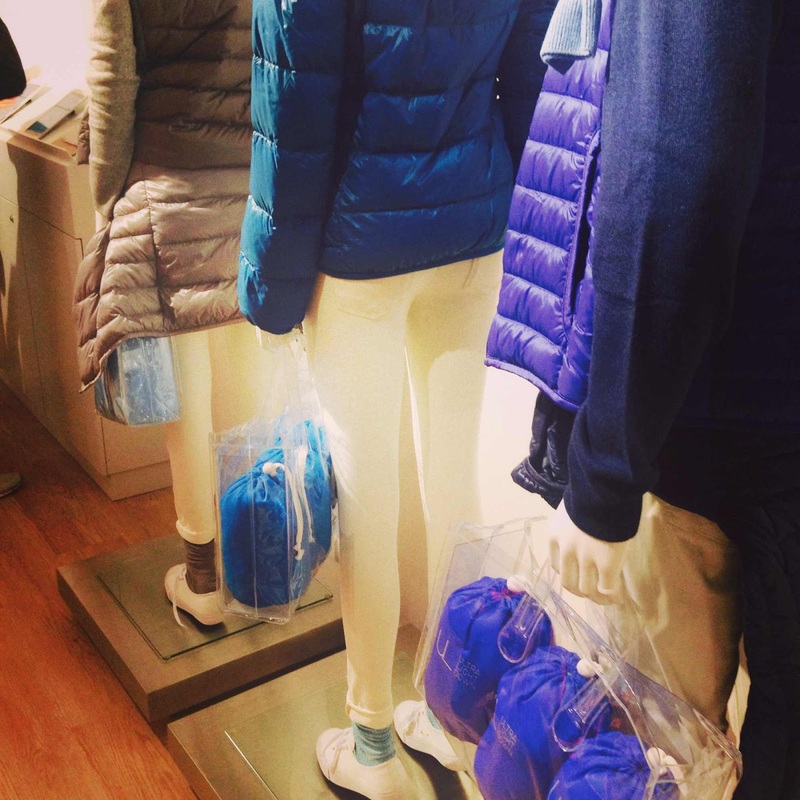 What I was hoping to buy was an Ultra Light down jacket and a cashmere scarf but neither seemed to be in store. 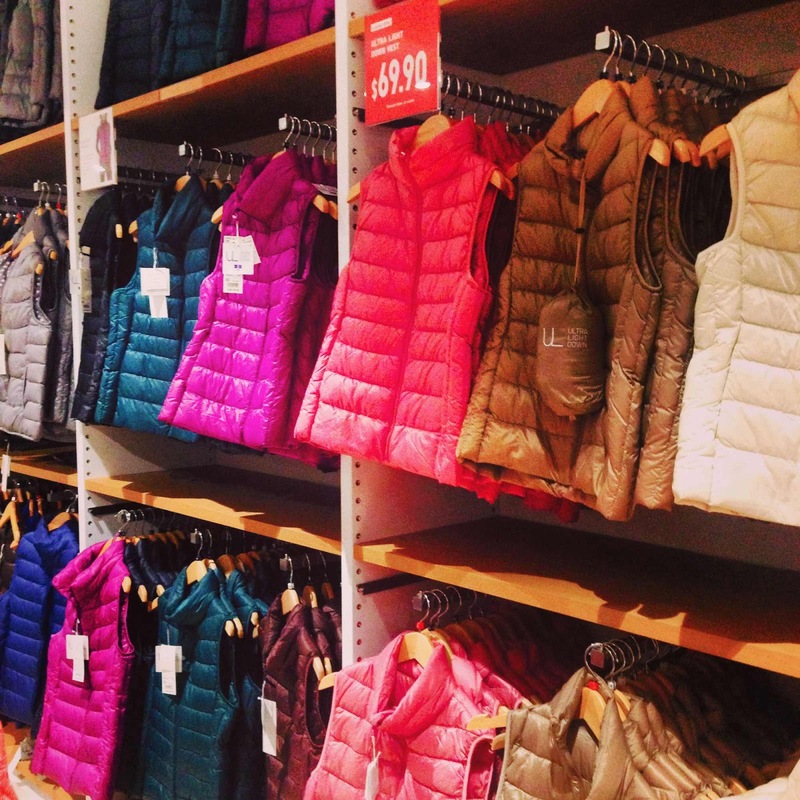 The puffer vests and jackets on display looked like the macarons of the outerwear world but they did feel a little flimsy to the touch. Are they really as warm as they claim to be? Another new arrival to Sydney, albeit with less fanfare and hype, is Brooks Brothers at David Jones. Their shirt dresses and skirts are the backbone of my work wardrobe - it's all the blue and white. Brooks do the palate so well. Unfortunately, the Australian prices are a bit painful. Oh well, one more store I'll have to add to the tightly scheduled free days we've got on the trip. Is it wrong to fly 22 hours to Florida, stay in a hotel that's a Disney property but not actually visit it? Probably. But I reckon I'll cave. Just for the chance to get Toddler SSG some Mouseketeer ears, mind you. Just for those ears. In other David Jones news, this fancy personal embroiderer was buzzing away in the foyer in ladies wear. The last thing I needed to buy for my trip was a notebook. It was as if Typo knew I was off to Disney Land. Unfortunately, notebooks have become yet another thing I've gotten more fussy about as I've gotten older. As cute as the Typo $15 versions are, they're covers are just too thick and the paper too thin. 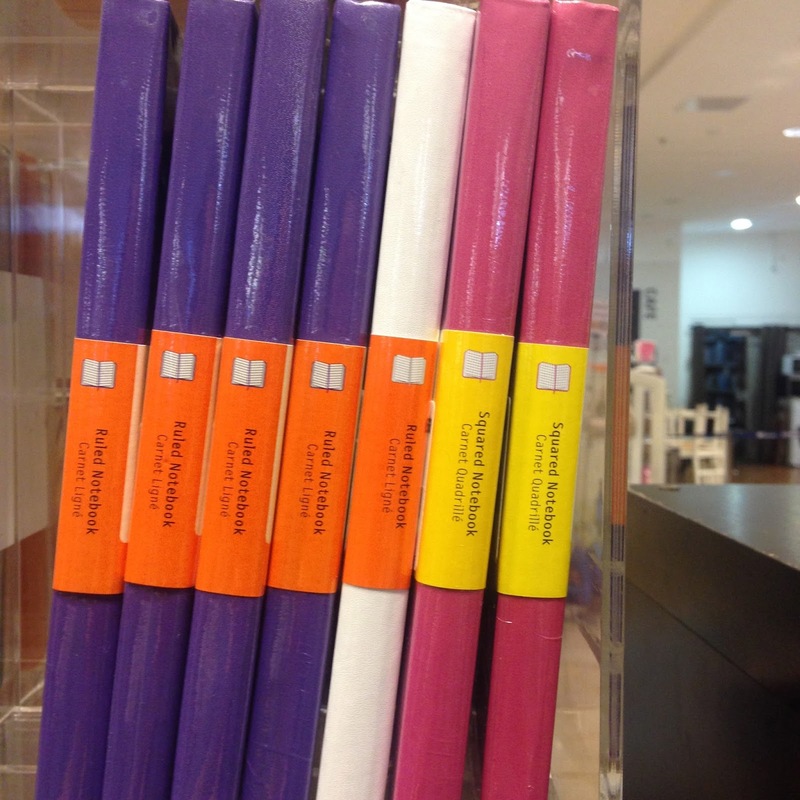 So it was off to Books Kinokuniya for a Moleskine Carnet Ligne. In this very citrusy yellow. Florida is the home of citrus in the US, after all. Did you know Triple J is now down to a Double? I wonder why it dropped a J? Anyway, whatever the reason, Double is for digital. One last thing. @peachcordial pointed out the most amazing coincidence to me on twitter the other day. These are some very fancy $420 Prada sunnies from Sunglass Hut. And these are my $35 Costco pair. And on that note, have a lovely Monday evening. There are lot of things that I love about Sydney... But I love my hometown Nowra. Nowra, I've heard such lovely things about it. I have to visit for myself soon. Are you on instagram? I can't find you! There is still Triple J. Double J is for the "over 30" crowd as they were tuning out of Triple J.
Ahhhh. That makes sense. Yeah, I'm a Double J-er then. Sorry to hear that H&M for women is dodge. The collabs are awesome though.